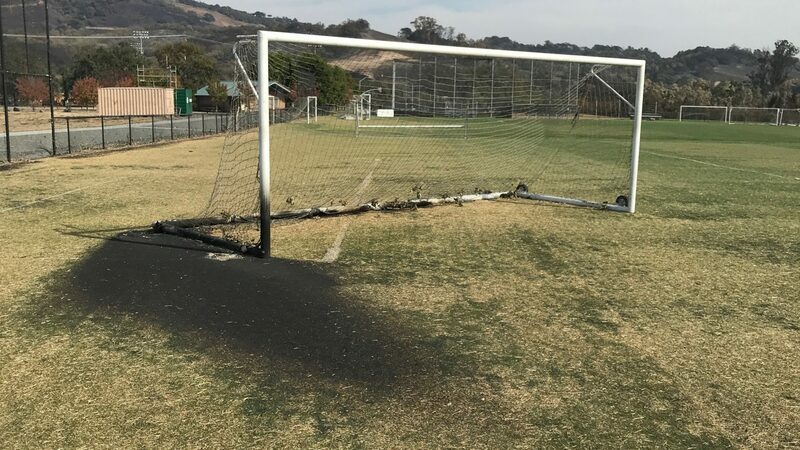 Our kids at Santa Rosa United soccer club have been devastatingly impacted by the fires in Northern California. When we started our GoFundMe campaign two days ago we had just over 25 families facing the total loss of their homes and now that number has jumped up to a staggering 43 and unfortunately we expect that number to rise. Many were forced to flee in the middle of the night with only the clothes on their backs. Santa Rosa United and Alliance is a strong community, a family, and we feel compelled to help. We have begun to provide essentials to our families that have been impacted by the fire. We are helping to ensure that they get back on their feet and back to familiar routines. The routine we cherish the most at SRU/Alliance is children running up down the pitch staying fit, and playing outdoors with friends and teammates. Hopefully our efforts to help these families will get them back out there sooner than later, with families cheering and all creating lasting memories. Their lives have been forever changed and our entire community has been deeply altered but this will not define us and we as a community, will grow stronger moving forward. We want to get our kids back to playing the game they love as soon as possible. Please donate any amount that you can, and more importantly share our story of strength with all your friends, family and colleagues. There has been so much tragedy in the US this fall, it’s hard to target one, or more, organizations to donate to. We hope you will consider ours in some way, and help the families who have been so impacted in these fire storms. We need these kids to get back to some normalcy as fast as possible. want to help in another way….